Shelton (Wa.) High School isn’t know for producing a lot of top talent, but this year the High Climbers boast one of the top tight end prospects in the state as David Ajamu put up huge numbers as a junior this past fall and he hopes to be even better in 2012. "I feel like I’m more of an athlete than a lot of tight ends," Ajamu told Northwest Elite Index recently. "They split me out a lot, but I’m also on the end of the line a lot too, so I’m pretty versatile." As a starter last season, Ajamu displayed outstanding hands and athleticism, to go along with a 4.6 forty time and over 70 receptions for 1,500 yards and five touchdowns. "They used me a lot in-between the 20s, but then when we got in the redzone, they sorta didn’t look my way as much, " Ajamu admitted. "This year, I want to be ‘the guy’ in the redzone, so I’ve been working hard on getting stronger and making sure my routes are good and that I have good timing with my quarterback." As far as recruiting is concerned, Ajamu has several schools pursuing him and he recently hauled in his first offer. "Wyoming has offered. That’s the one I know about," Ajamu noted. 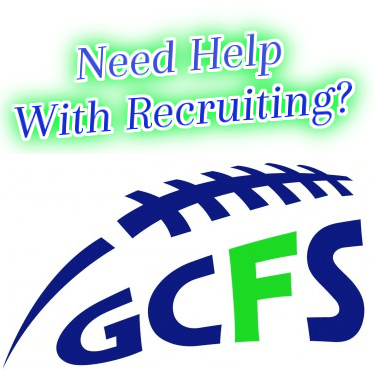 "The other ones that are recruiting me pretty hard are Washington State, Montana, Idaho, and Portland State. "I think I’m going to head to Washington State’s camp for sure and also possibly to Idaho since it is really close and probably Portland State’s as well." Ajamu is a physical specimen with the frame to easily add another 25 to 30 pounds. He already has solid footwork and he has great hands and speed. As he gets bigger and stronger, he has a chance to not only dominate in the passing game, but also could be a factor blocking on the edge in the running game. We will continue to keep track of the talented Shelton prospect and will update news as it happens with him.